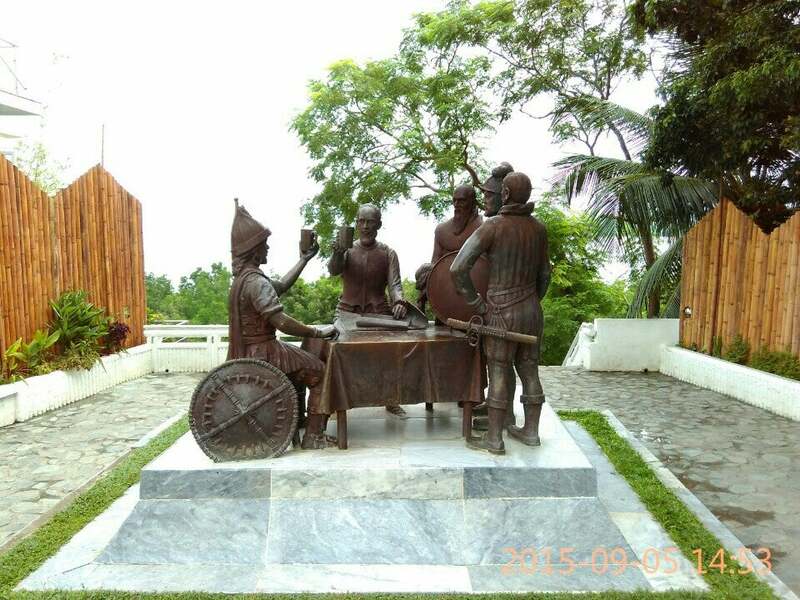 Why Blood Compact Monument (Sandugo) is special ? 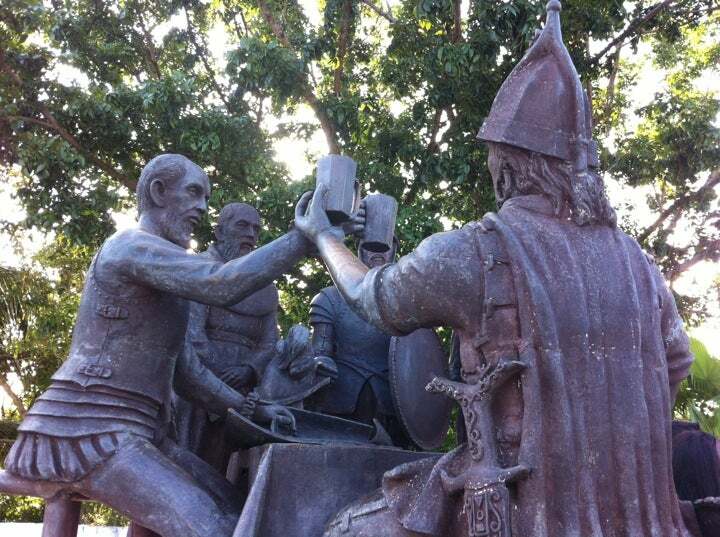 The Sandugo was a blood compact, performed in the island of Bohol in the Philippines, between the Spanish explorer Miguel López de Legazpi and Datu Sikatuna the chieftain of Bohol on March 16, 1565, to seal their friendship as part of the tribal tradition. 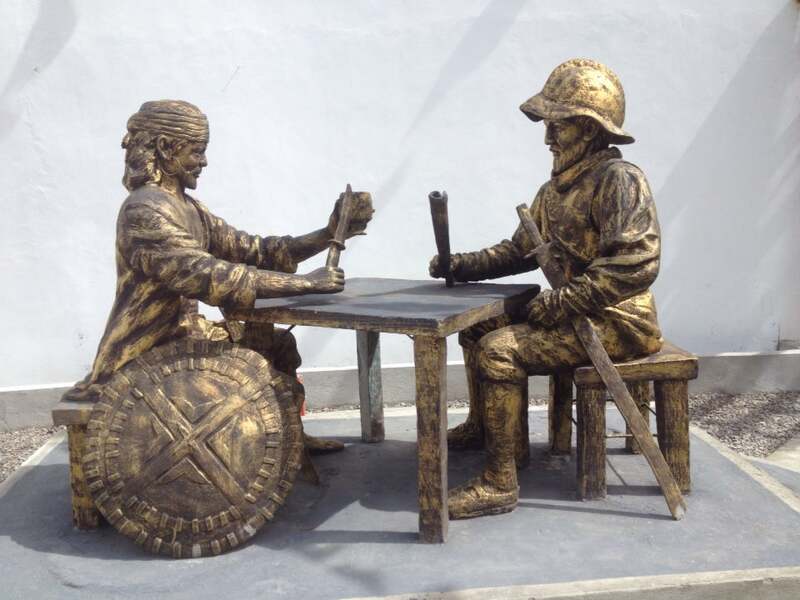 This is considered as the first treaty of friendship between the Spaniards and Filipinos. "Sandugo" is a Visayan word which means "one blood". What to explore at Blood Compact Monument (Sandugo)? Today, the Blood Compact Shrine serves as a memorabilia of the historical happening during the middle March of 1565 where a bound of friendship was established to create a fundamental unity. The Sandugo or Blood Compact Shrine monument is a landmark at the site of the first international treaty of friendship between Spaniards and Filipinos. Behind the monument is a magnificent view of Bohol Sea. The monument, with the bronze statues of Miguel Lopez de Legazpi, Rajah Sikatuna and several other witnesses, was a masterpiece of the Boholano sculptor and National Artist for Sculpture, Napoleon Abueva. How to get to Blood Compact Monument (Sandugo)? The place is just a short tricycle or cab ride from the city of Tagbilaran since Barangay Bool is still a part of the city. Buses or vans are available from the Dao Terminal. Rides to and from the place does not pose a problem since the site is located along the Carlos P. Garcia circumferential road where many transportations are available. There are photographers taking pictures and editing these to produce a nice souvenir photo of you with the monument and the marker in the background. Since the location is very much accessible by transportation, the tourist destination is also a great spot for Pasalubong and/or souvenirs. T-shirt starts from P99.00 to P150.00 while A famous delicacy of Bohol called the "KALAMAY" is at P100.00 per 3 pieces of "BAGUL", coconut shell. Just beside the shrine is the ocean suites (hotel) cafe where you can have coffee and some sweets ( cake). It's not just a monument, it's part of our history. It has also an overlooking view of the ocean. There are also souvenir shops nearby as well as vendors selling the famous "rice cake" in a coconut shell. Prices are lower in here so you could buy your "pasalubong" if you will stop in this area. Photographer/s will take a photo of you and give you a copy for a price. You may just ignore them and not the photo.